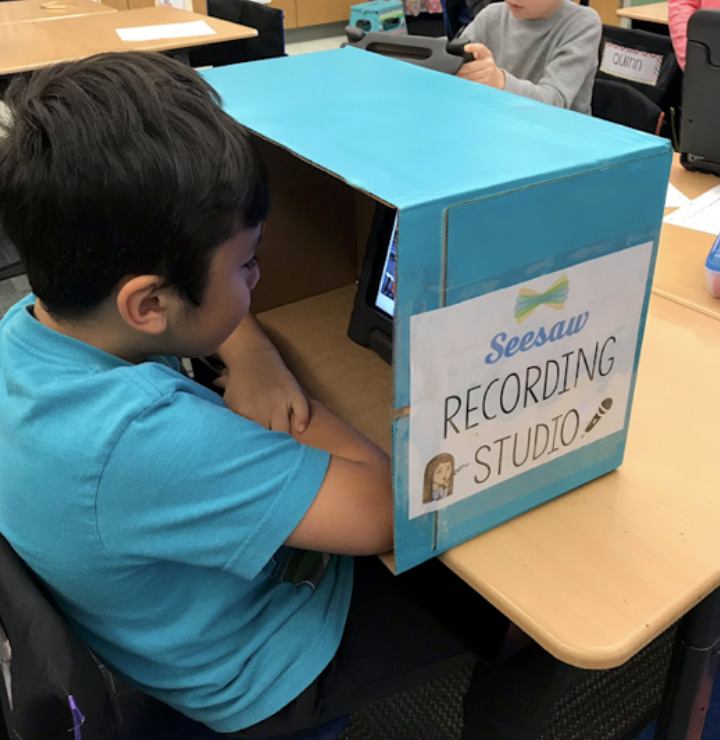 Student 1: "What is that room?" Student 2: "It’s the teachers’ bathroom." Student 1: "Why do they have a special bathroom?" Student 2: "I think they have bigger toilets, since their butts are so big." 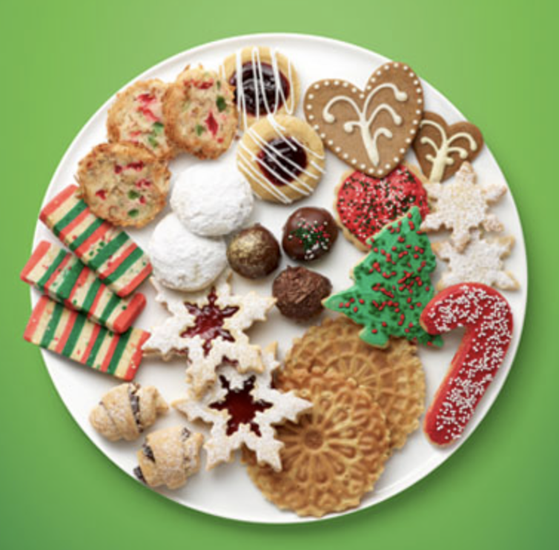 So, we might all want to take it easy on the holiday cookies. 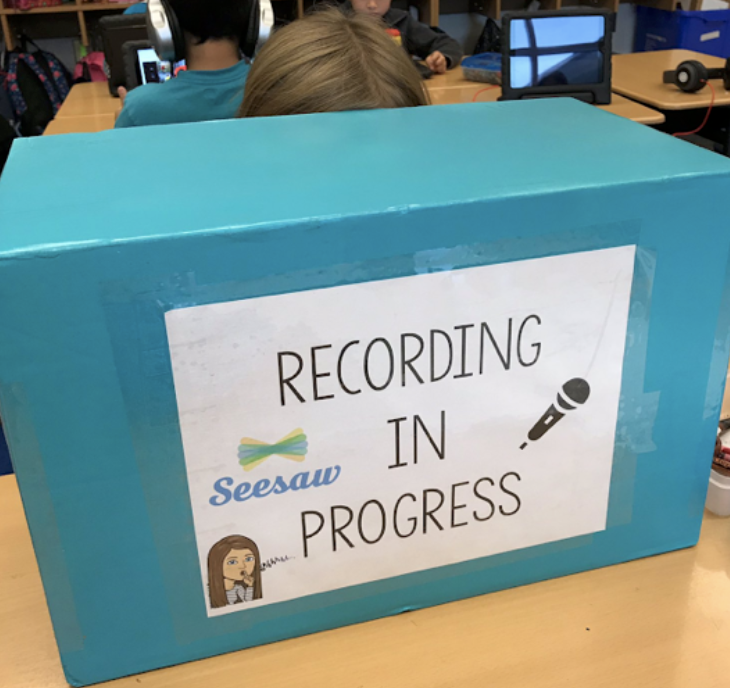 Here's a way to help students record in Seesaw so as to greatly help block outside background sounds and distractions during the recording process. I've been told it also helps facilitate filming green screen dioramas. 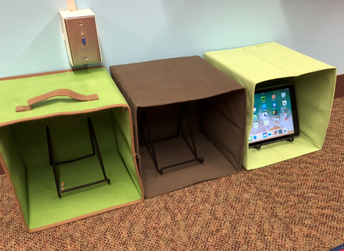 Some teachers use cardboard boxes (spray-painted a fancy color) and others have found cloth cubes on Amazon outfitted with metal book stands. Happy recording. 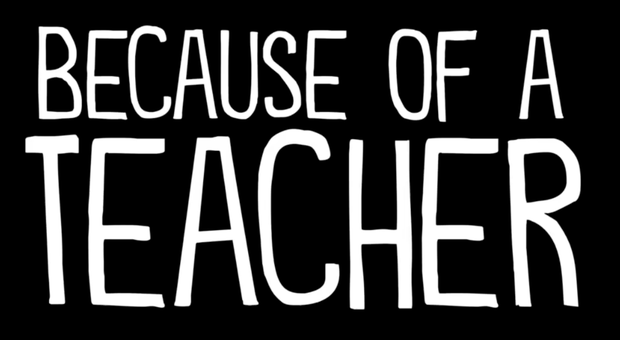 Click on the link to see an open letter to all teachers from an appreciative parent. 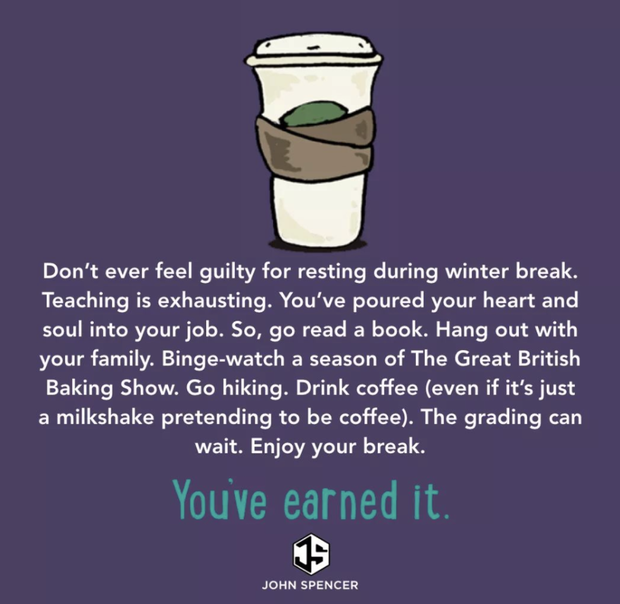 HAVE A GREAT BREAK AND AN EXCELLENT START TO 2019!